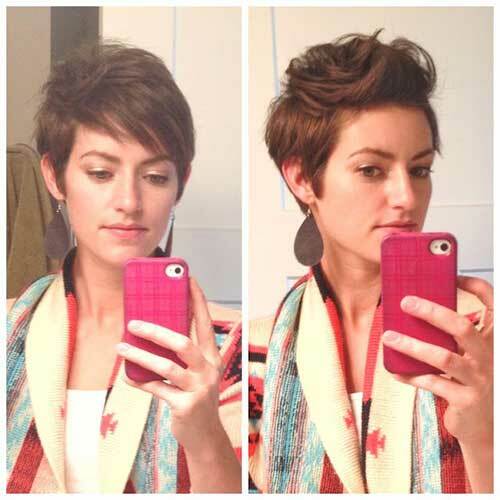 Pixie cuts are so versatile and so chic that you can find a great haircut for any style. 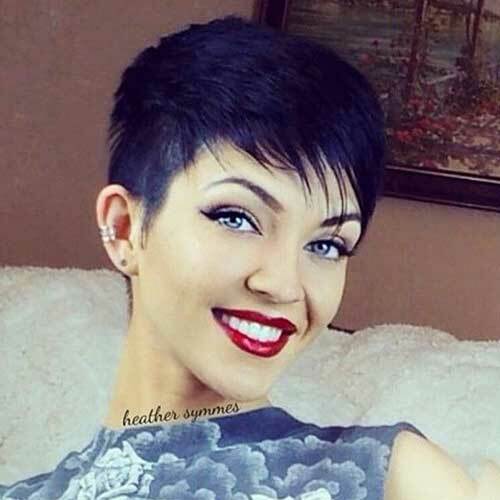 If you want to sport a short hairstyle but don’t want to go all short, a sassy pixie cut with long bangs would be a nice choice. Here is a side parted pixie cut with golden blonde highlights and asymmetrical cut. Lily Collins sports messy long pixie cut with layering and wet look. 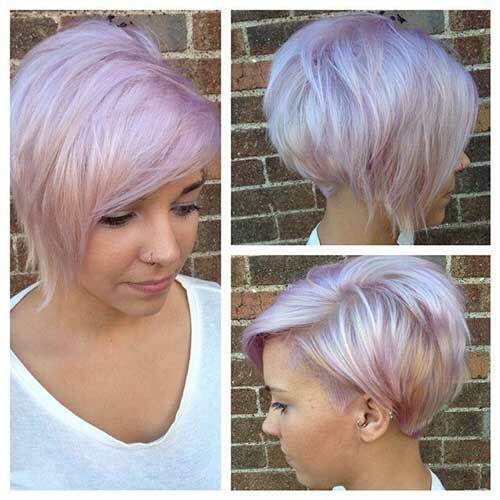 Here is a nice layered pixie cut with an asymmetrical style and gorgeous pastel hair color. 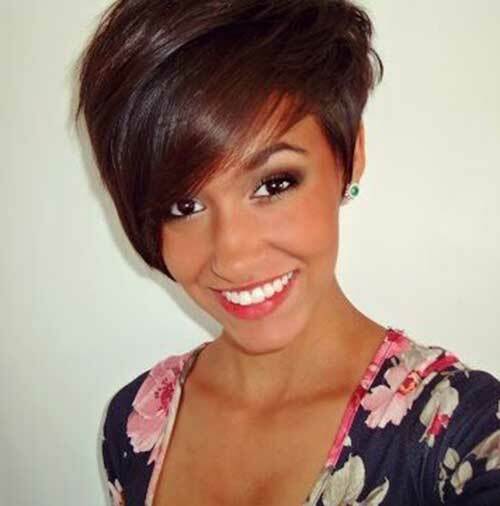 Pixie cuts can be so versatile that you can call this asymmetrical pixie as pixie bob too! 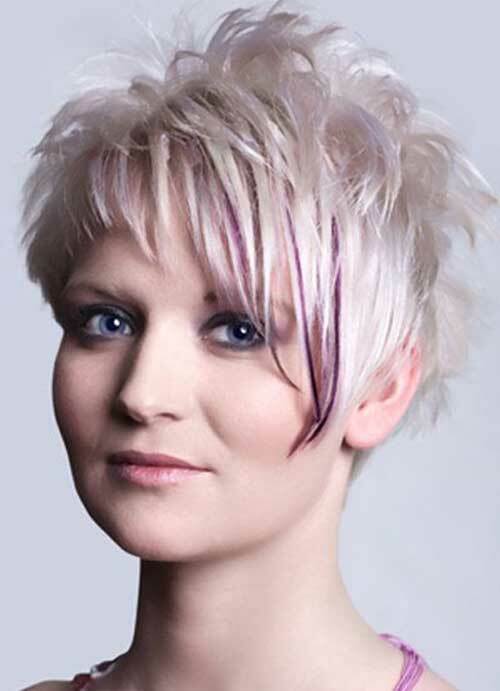 Spiky layers and purple highlights add a really nice vibe to this platinum blonde pixie hair. Long bangs are great for creating a cute and nice asymmetrical styles. 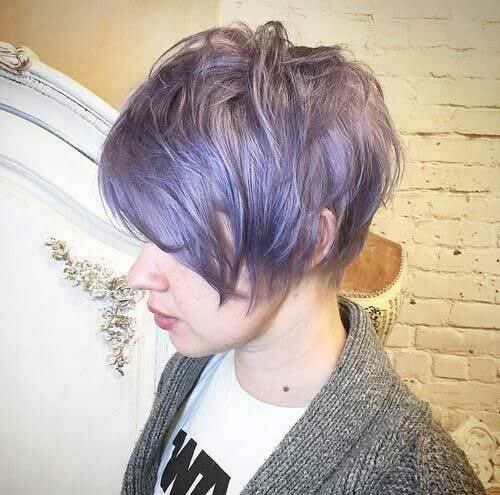 Here is a cool and trendy pixie cut with gray hair color and layering. Asymmetrical styles can be opt by women with round or oval face shape. 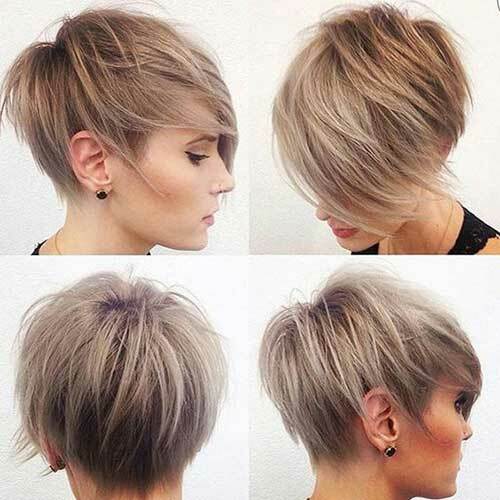 There are many different hair styling options for pixie cut as you can see those two styles below would be a nice inspiration for you! 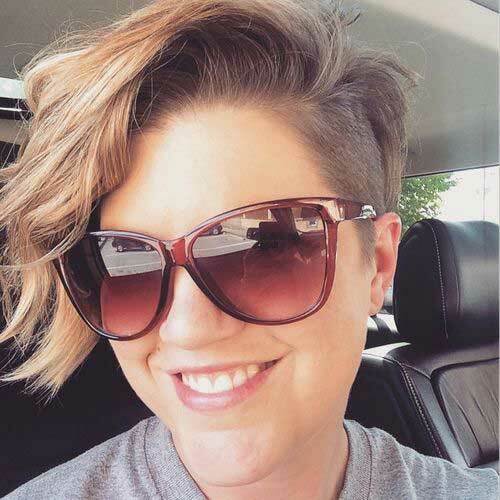 Here is a short pixie cut with shaves sides and wispy bangs. Here is a dark pixie hairstyle with side swept long bang and layers . This is a perfect look for ladies with straight hair. 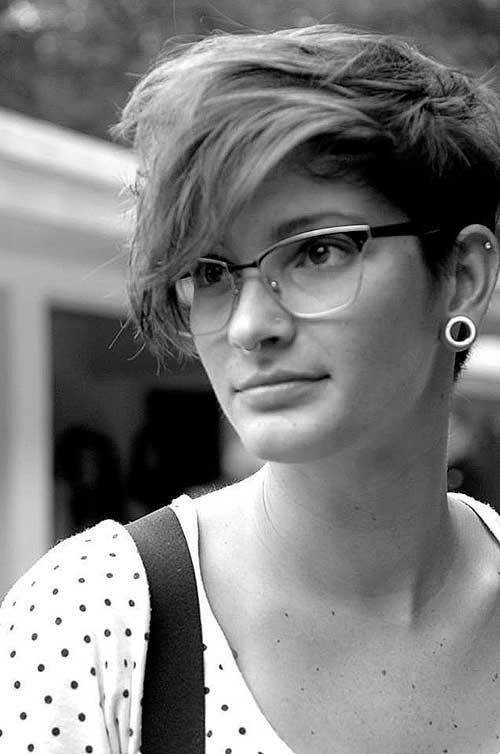 If you have fine hair, this asymmetrical pixie cut with choppy layering would be a great choice. 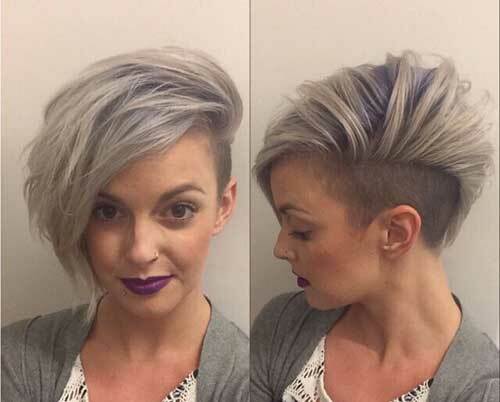 Here is a nice ombre pixie cut with shaved sides for wavy hair texture. 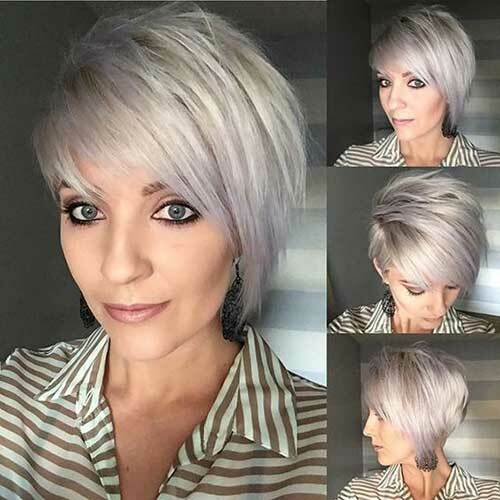 Silver blue hair color is one of the best way to emphasize your gorgeous pixie hair with asymmetrical cut. 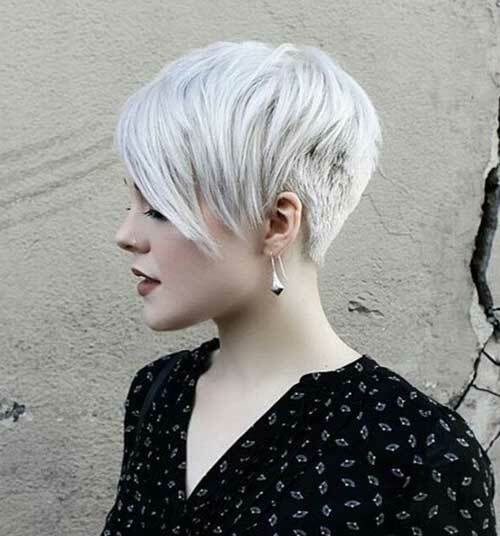 Shaved sides and undercut styles are really popular with both long and short hairstyles, and they look unique and stylish with pixies. One side is tucked behind her ear and one side with bangs is messy and natural, this look is just cute yet stylish.